It’s so important to wash your makeup brushes regularly. Every 1-2 weeks is ideal. Brushes can be very expensive and I’ve had many of mine for over 7 years because I take care of them! It also makes for better makeup application- if your brushes are dirty it makes blending your makeup much more difficult. I love how this allows me to hang my brushes so no water gets in the shaft. This will help keep the glue strong and the bristles in place. 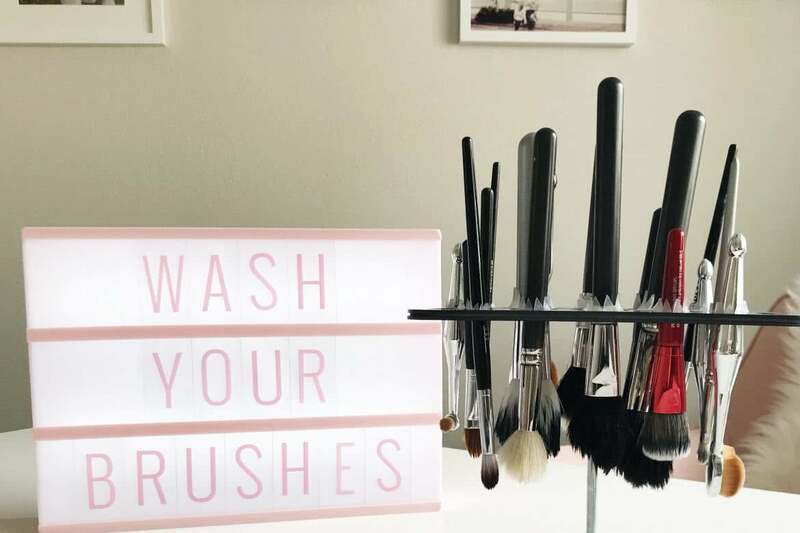 What should you use to clean your brushes? You don’t need expensive “brush” soap to wash them. I used to use baby shampoo until I discovered this. This stuff is amazing! It smells good, its natural, it’s foamy, and the bottle it lasts forever! I also just started using this brush cleansing mat and have found that it makes cleaning so much faster. Place the makeup brush cleanser onto the bristles. Gently massage the tips of the bristles on your palm or your brush cleansing mat. Rinse the bristles thoroughly and squeeze as you clean to ensure all the soap is removed. Reshape the brush head and hang from your brush dryer. 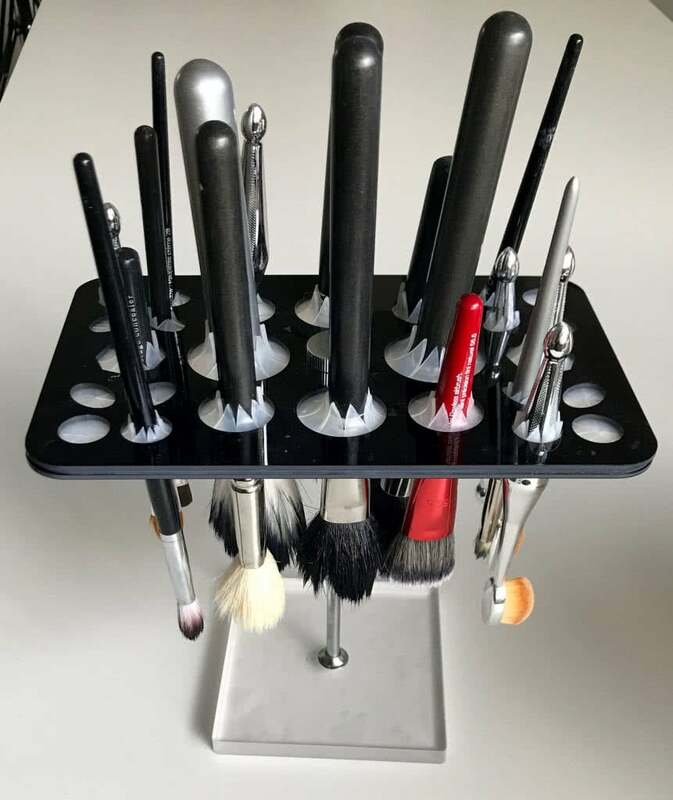 How often do you wash your brushes? I hope these tools help you! I always clean my brushes with the MAC solution but I’m gonna switch to the Dr. Bronner’s soap since I’ve heard so many good things! 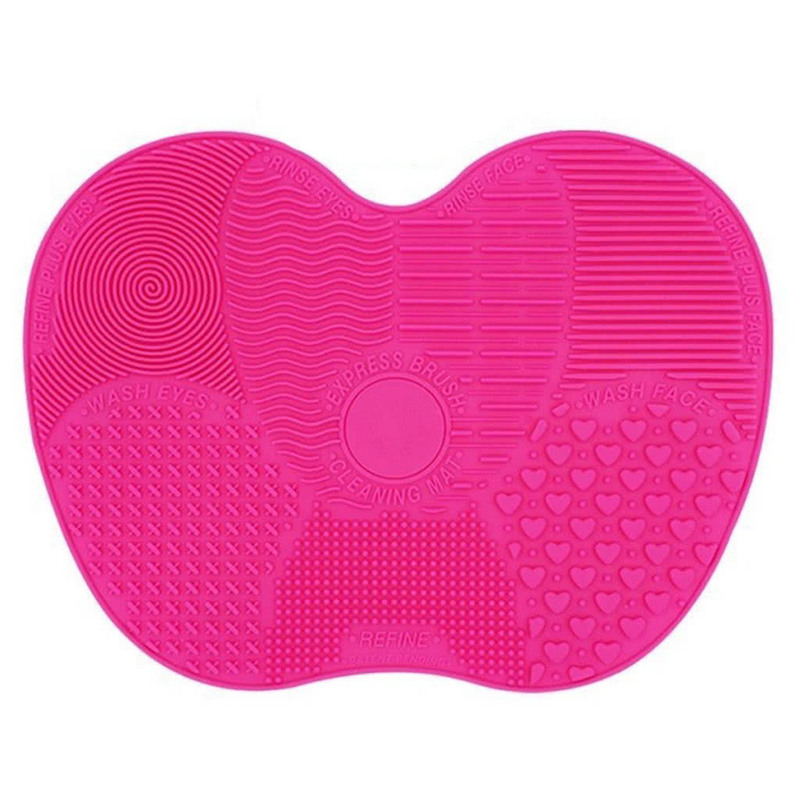 I love the brush cleansing mat… it is really good and getting all the product out of the brushes. I want to try that brush mat though because I feel like I ruin my brushes when I was them!